SAN FERNANDO CITY, PAMPANGA- Filipino researchers have developed a bamboo material that can be used as an eco-friendly and cheap material for making furniture. Engineered bamboo products are produced by binding together veneers, strands, particles, fibers, strips or slats of bamboo with a suitable adhesive to form a composite material designed to meet specific uses, said Dr. Rico Cabangon, officer-in-charge at the Department of Science and Technology Forest Products Research and Development Institute (DoST-FPRDI). A prototype school desk was the first product made from engineered bamboo by FPRDI researchers. Using a bamboo flattening machine, bamboo columns become planks, which could solve the need for engineered bamboo locally. The products are also called man-made bamboo or manufactured bamboo since these are engineered to precise design specifications to meet client requirements, as well as relevant national and international standards, Cabangon said. 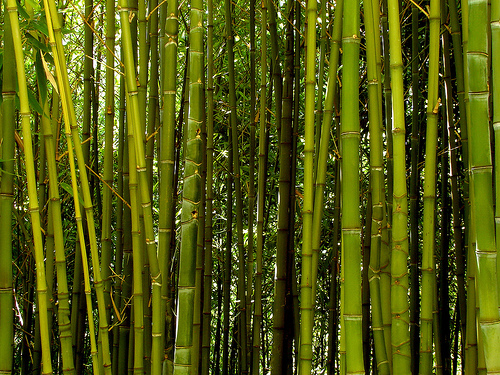 Most often, engineered bamboo products are used in applications similar to engineered or solid wood products. Due to certain advantages in applications, however, engineered bamboo products may be preferred to solid wood, the official added. The bamboo flattening machine was developed by the team led by engineer Dante Pulmano and has already been introduced to a group of Pampanga furniture-makers during a technology demonstration. The reception was positive as managers of three firms expressed interest to acquire a unit once it is ready for commercialization, Pulmano said. FPRDI researchers are now modifying the production process of the machine to reduce the cost. We are looking for many orders of this kind of bamboo..your group must grow more of it..